October is Domestic Violence Awareness Month. Hope Shores Alliance and Rogers City Women’s Civic League gathered outside of the courthouse to honor the cause. It was a cold and chilly night but that didn’t stop these individuals from coming out. Standing in remembrance honoring victims and survivors of domestic violence, members of Hope Shores Alliance and the Rogers City Area Women’s Civic League hosted a candlelight vigil to raise awareness. “For some reason people think when this is a small town it’s not around but it is,” Chair of the event, Gail Warren said. “It is, it can be in a small community. It can be your neighbor, it can be your friend, and it’s something that many survivors and victims do not talk about and we have to dispel the rumors that it’s something to be shameful,” Co-chair, Jan Blumberg said. Hope Shores Alliance Executive Director, Katy Conklin said there is an average of 800 hotline calls a year and a full shelter when it comes to this issue in northeast Michigan. “Most of the survivors are women. Especially in the rural community you don’t necessarily have access to a lot of services. There might be economic reasons that they stay and many barriers. Lack of access to jobs, transportation, and still wanting to make the relationship work. 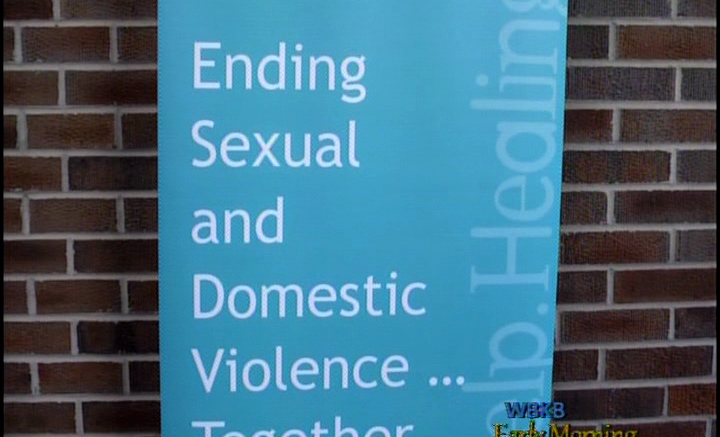 There is a cycle of violence and often times an abuser will make promises that it won’t happen again, and abusers are master manipulators,” Executive Director, Hope Shores Alliance, Katy Conklin said. “We have great stories of success. People do free themselves from those relationships; people who commit domestic violence are being held accounted for more and more, and it’s not such a big secret anymore,” Conklin added. If you or someone you know is suffering from domestic violence, help is always there. “They need to find a friend and reach out and we as a community of friends will be there to guide them,” Blumberg said.